As a homeowner, it feels nice to put in the work to create the home of your dreams. Are you looking for more ways to improve the overall quality of your home? Then you should consider the benefits of replacement windows and doors. These upgrades will boost the appearance of your property and also upgrade the function of your home at the same time. Why should you install new doors and windows? Our team at Scientific Home Services Ltd would love to help you see the benefits of these upgrades. 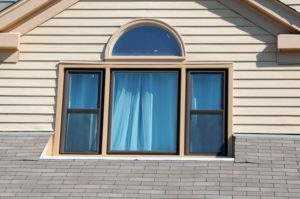 Here are some of the great things you can expect if you choose to move forward with replacing the windows in your home. Does your home offer a safe, comfortable place for your family to build memories together? The quality of your home impacts the relationships you share with the people that you love. Your family deserves the best, which means you need to put in the money to ensure the overall quality of your home. Replacement windows and doors offer a great solution to upgrade your home. You can create a luxurious living space to share with your spouse and children. At the same time, the improved function makes it easy for everyone in the home to use the windows and doors. Another way to improve your family’s lifestyle with new windows and doors is through the environment that is created. High-quality windows help to block out noises from outside. Instead of listening to the cars driving by and the dogs barking all day, you can enjoy the peace of the home environment you want. As a parent, you might be thinking about the quality of the planet and how it will impact your children. The choices we make today will have a domino effect on the planet the younger generations inherit. You need to make sure you are doing your part to protect the environment. Replacement windows and doors offer a great first step to improving the efficiency of your home. When you upgrade the windows, you can seal off your property and reduce the energy waste. Old, drafty windows bring cold air in from the outside, making it hard to manage indoor temperatures. These drafty windows increase the amount of time that your HVAC system runs each day, which in turn increases your energy bill. By replacing the windows, you can reduce energy usage and your carbon footprint at the same time while saving money on bills. Whenever you are considering an investment, such as replacing the doors and windows in your home, you need to think about how this effort will impact the financial future of your family. The truth is that leaving the old windows in place could be more expensive compared to investing in new windows. Yes, you will need to spend money right now to install the new windows. But this investment will help you to reduce your utility bills each month. At the same time, you can optimize the value of your property. When you decide to sell the home in the future, you will be able to ask for more money because of the higher appraisal value of your home. These decisions might seem small, but they can add up to make a big difference in the future. If you are going to make the investment to install replacement windows in your Mt. Prospect, IL home, it makes sense to choose the best products available. Here at Scientific Home Services Ltd, we are one of the leading contractors in the area. Our team is committed to providing the best services and only top of the line products to our customers. You can rest assured that you will always receive high-quality services and top-notch installation when you choose our company. We want every customer we serve to be satisfied with their new windows. We encourage you to share your goals for the project with us, so we can source the right materials for your family and reach the right solutions together. One of the benefits to working with our team is that you can customize your order. Choose the style, features, and materials that will look best in your home. We will plan the window design to match your specifications. Are you ready to learn more about the benefits of replacement windows and doors? 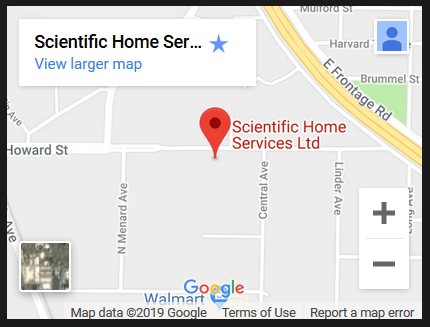 Contact us at Scientific Home Services Ltd, and we will gladly answer you questions. You are welcome to come to our showroom at 5639 W Howard St, Niles, IL 60714. Call our office to setup a time for your complimentary estimate: (847) 752-0370.